The fledgling movement to switch how Elk Grove City Council Members are elected took a significant step forward recently when a notice was filed with the Elk Grove City Clerk's office. The so-called initiative notice of intent indicating a petition to qualify an initiative for placement on next year's ballot was filed by Elk Grove resident James Kelly. The notice states Kelly intends to gather signatures to qualify a ballot measure that would change how city council members in Elk Grove are elected. Under the current system, the four council members are elected on a from district basis. In this system, the council members live in one of the city's four designated districts but are elected on a citywide basis. Kelly's initiative seeks to gain voter approval so that council members are elected on a by district basis. In this system, council members need only be elected by voters in the specific district, not on a citywide basis. The document, which was recorded on Monday, September 18, requires Elk Grove City Attorney Jonathan Hobbs to respond within 15 days with a ballot title and summary. Within 10 days of that a public notice in a newspaper of general circulation will be posted. Once an affidavit of publication is provided to the City Clerk who will then review the petition format and signature gathering efforts can begin. To qualify for placement on the Elk Grove ballot 8,968 verified signatures must be obtained within 180 days. Elk Grove City Council Members Steve Detrick, Pat Hume, Stephanie Nguyen, and Darren Suen have express support for maintaining the current system. They argue the from district system makes elected officials accountable to all voters. 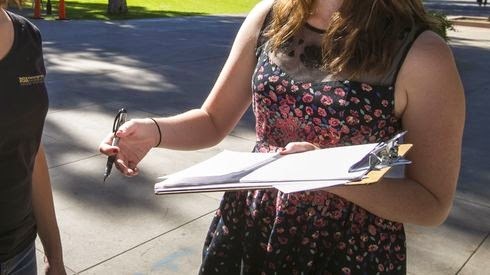 Supporters of the by district basis, which includes progressive Democratic party members and Elk Grove Mayor Steve Ly argue the change will provide more opportunity for female, minority and non-incumbent candidates who typically do not have access to financial resources that incumbent candidates enjoy. Anyone interested in the petition is asked to email bydistrict@frontier.com. Uh Oh! Better get Region Builders on the hotline! Get Waltman back in circulation! Better fire up the PR spin machine! Better pass some rules and regulations to hinder petition gathering! This is a travesty! It is commendable that Mr. Kelly is taking on this uphill battle. While I wish him and his supporters the best, they will soon learn what several of us in the community have known for years. The City Council is loath to do anything that is a threat to what they equate as their personal franchise. The large money donors will form independent expenditure committees to do the dirty work for the council to maintain the current power structure. In turn the council will gladly continue to be puppets whose strings are pulled by the big money benefactors - the definition of Obligate symbiosis. Maybe a grassroots will spring up and get the by-district passed, but if the casino was in town, I would not be betting that line.